Santa here, is the second santa in my series. After a huge request, I did one more. 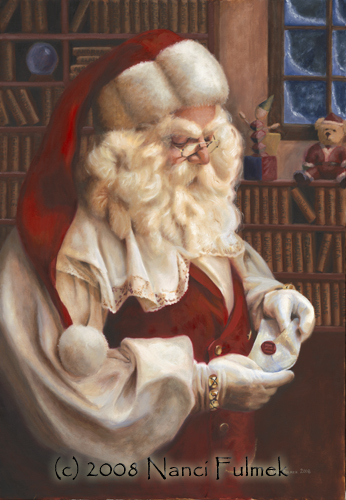 This one came from hearing the kids ask Santa, "Do you read my letter?" YES! Yes he does! He is a lovely moment in time of Santa in his study, with the journals of all the kids in the background, about to read his next letter from another child.